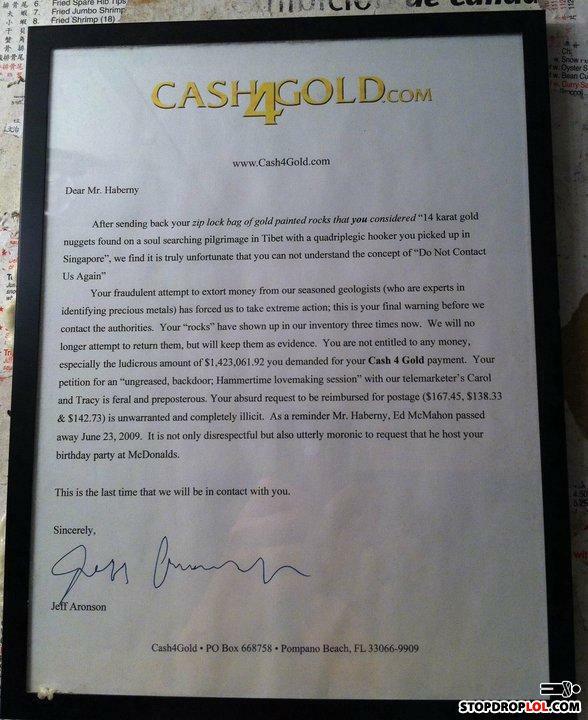 This letter is 14 karat gold. Imprpoer use of apostrophe...can you spot it? Isn't it kinda sad that this was framed?